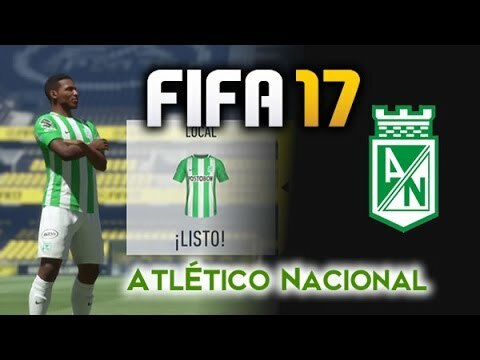 Club Atlético Nacional S. A., also known as Atlético Nacional, is a Colombian professional football team based in Medellín. The club is one of only three teams to have played in every first division tournament in the country's history, the other two teams being Millonarios and Santa Fe. Atlético Nacional was founded on 7 March 1947 as Club Atlético Municipal de Medellín by Luis Alberto Villegas López, a former president of the football league of Antioquia. The current owner, Organización Ardila Lülle, officially acquired the team in 1996. According to CONMEBOL, Atlético Nacional is the club with the largest number of fans in Colombia. Atlético Nacional plays its home games at the Atanasio Girardot stadium, which has a capacity of 45,943. It shares the stadium with its local rivals, Independiente Medellín. The teams face each other in a derby known as El Clásico Paisa, which is considered one of the most important derbies in the country. Atlético Nacional also has a rivalry with Millonarios, a rivalry that arose from the 1989 Copa Libertadores. Considered to be one of the strongest clubs from Colombia, it is one of the most consistent clubs in the country. Atlético Nacional has won 15 league titles, three Copa Colombia and two Superliga Colombiana, a total of 20 domestic titles, making it the most successful team in Colombia. It was also the first Colombian club to win the Copa Libertadores in 1989 and, after winning the title again in 2016, the most successful Colombian side in that tournament. It also has the most international titles of any Colombian club, having also won the Copa Merconorte twice and the Copa Interamericana twice, a total of six international trophies.